Contact @Younis To Buy Premium ! 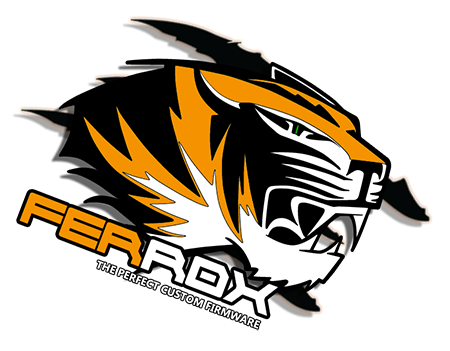 After proposing the update v1.01 of the standard version of CFW Ferrox 4.82, here is that Alexander has updated the Cobra version. As always, it remains a reference, but there a small grain of sand has crept into the way this release was made. Yesterday evening appeared this version CFW Ferrox 4.82 v1.01 Cobra 7.55, but there is not something that shocks you well before talking about the features. Yes you read correctly, Cobra 7.55, this is not our eagerness to go to Joonie's side to see what this patch changes. Joony distributed a few days ago a corrected version of the patch to a few people, the Cobra 7.54 coming to him already correct a bug of game updates and installation with the syscalls disabled. "COBRA 7.54 - Fixed Bug in the setup of game updates with disabled Syscalls - Credits to Alexander, Aldostools, Joonie"
The developer Deank made the effort to develop a new version of his famous multiMAN bakup manager which now goes to v04.82.00. As you can imagine, the great innovation is the official support of CFW 4.82, even if multiMAN already worked on this type of CFW it now has a clean support. 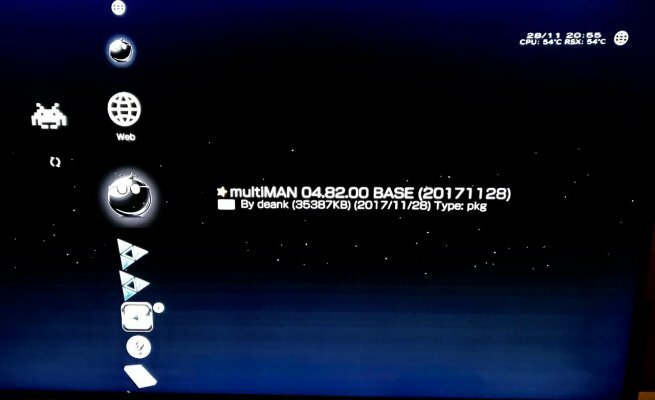 In addition, Deank has updated SACD Ripper (which can rip SACD with your PS3, attention no Stealth version of multiMAN is online, it will be content with the multiMAN_04.81.02_STEALTH_ (20160108). This SACD Ripper is compiled with support from 3.55 up to 4.81. It doesn't require keys on usb stick and hopefully the extracted modules will work on all firmwares. Let me know if someone tests it. Today the Ps3Xploit Team has given us an OFW4.82 to CFW exploit this means that you will never require an E3 flasher or comparable hardware downgrader this is enormous news in the ps3 modding scene yet it additionally implies that there will be alot more modders on the web and Sony won't care for that so risks are they will attempt to fix it and close down the ps3 servers all together. So in short, never use the browser or set a homepage you cancel before running the exploit! [RELEASE] Kernel Exploit for 4.05 Firmware Now RELEASED by Fail0verflow!! The OFFICIAL Kernel Exploit that reaches up to firmware 4.05 has now been released by Fail0verflow. What can you do with Kernel Exploit? High level firmware Kexploit brings all your needs to the table. Have fun exploiting! 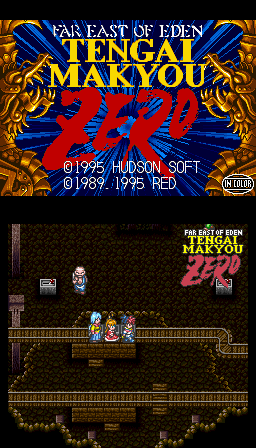 While some are still trying to make their Snes roms compatible with the super mini-classic in the shadows, developers are still looking to improve the emulation of the SuperNes on the first Xbox 1 of the name. For those who do not know the Xbox 1 (found between 15 to 20 euros) is still one of the best consoles for emulation. It's a nice surprise that nobody expected. * All cores updated to madmab edition interface CFv1b28. * Fixed some of the odd looking text in cut scenes for the game Hook. * Right mouse button was not operable in all cores... Fixed. As expected, the Team Ferrox represented by Alexander confirms once again that it deploys a considerable amount of work in a few hours, a work based primarily on the passion to offer the PlayStation 3 community new possibilities. As the Team Ferrox says, this is the most advanced CFW after the Rebug, which has a track worthy of the name, the staff of Cybermodding has tested and even our friend Littlebalup tests since yesterday. Out of respect for all the developers we did not broadcast the first images we had yesterday, but the work done is phenomenal. 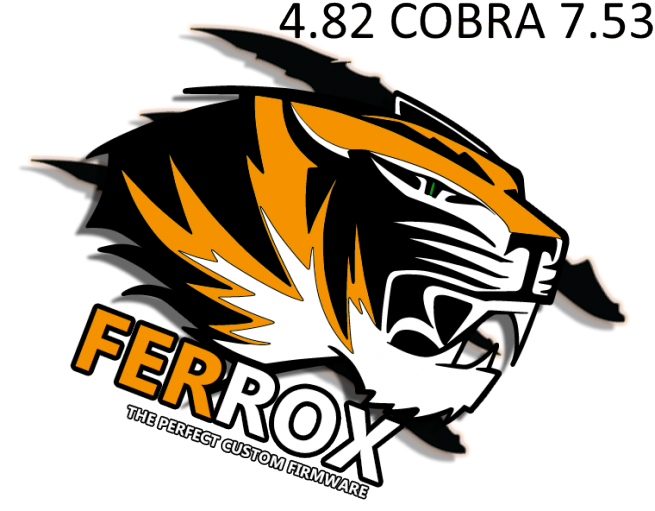 This CFW is the first CFW with Cobra functions that has the follow-up of a Team, the Team Ferrox, represented by Alexander, it incorporates the functions Cobra 7.53, the latest. - Built on the basis of the latest OFW 4.82 SONY. - Upgrade from any CFW (CEX). - Ability to update from OFW 3.55.